And New Year follows Christmas, with a long silence between. I’m away now until New Year’s Day, and so here is a couple of silences to fill the gap. your face is where I see forever. so that in all the city silence is but a lesser noise. and with this breath breathe I.
December 27, 2008 in Thoughts and Books | Enter your password to view comments. “Any woman who does not have their mothers support during the crucial transitional stage of becoming a mother is bound to feel vulnerable, insecure and have a sensation of missing out on something whether it be real or imagined. They do not have the benefit of experiencing first hand the ancient wisdom that is surreptitiously stored in their mother’s actions, verbalizations or body language that has been passed down from thousands of generations before. If the link to the birth mother is broken, a woman can feel a profound sense of loss, loneliness and isolation particularly when they experience any major life events such as marriage, the birth of their first child, their first child stating school or any other time when sharing joy and pain intimately is needed. Motherless daughters just don’t have that someone who supposedly loves them unconditionally that they can lean on. Even if the daughter has a surrogate mother who loves them dearly it is not the same as the bond between blood mother and daughter. The new mother will find her way but this is often at great personal cost as she may also be left with feelings of not being good enough, low self esteem, being over motherly and feeling overwhelmed when she has no back up support that many other mothers may take for granted. She will want to be the perfect mother so she does not repeat the same mistakes with her own children, hoping desperately to break the cycle but there is an innate danger to her personal wellbeing because she carries the burden of the generation before her and the one that is to follow. She trying to be the bridge that closes the gap and creates connections and this may prove to be an arduous journey. In her perfect mother quest she is doomed to fail as she can never live up to her own expectations. One day she may wake up and realize that to make up for her own lack of mothering she is mothering everyone else – her husband, her friends, her children and even acquaintances but she is not mothering herself. She has tried to gain love through mothering but cannot find it until she learns to mother herself. This can be an extremely painful realization because no matter which way she looks whether it is up the line to her elders or down the line to her children and grandchildren she has been the mother. This may be especially so if her mother was there physically but unable to be there emotionally, a double blow really because she is playing the mother but is really the daughter and may have had this relationship with her mother from a very young age. The unmothered mother needs to accept that there is no such thing as the perfect mother, that she is loveable and worthwhile and deserves to be mothered herself, to be respected. She needs to find a way to heal the pain and the grief so that she can find within herself the nurturance to love herself, give time to herself and follow her own passions. She can do this by seeking other understanding women to share her story with respectfully, who will listen to and acknowledge her challenges without judgment. She needs to find another way to access her stored memory of the grandmother and mother memory through other mothers or older women to learn that they are probably not doing such a bad job of mothering their children after all and to just relax a little. She needs to learn to give herself time to grieve every so often the loss of never having a mother, for the pain will never go away completely; but she also needs to learn that there is no need to carry your pain like a flag that identifies you. It may be time to move on from that so you can experience life more fully wholly and to allow yourself guiltless pleasure in filling your own cup to the brim with the amazing love and acceptance that you have been giving to others but now need to give to yourself. othersThere is a core aspect of a woman’s psyche called the Mother Complex. This complex includes the Ambivilent Mother, Collapsed Mother, and the Unmothered Mother. They represent the internalized versions of our own mother and the cultural ideas of motherhood. We each have an unbroken chain of what it means to be a mother/woman within us. Part of our process as women is to identify, embrace, and claim our own individual female nature. I have been reading some of the blog posts reporting the violence in Greece this past week. I was struck particularly by the stark contrast between two adjacent posts on Stavros’s blog, My Greek Odyssey and decided to play with a few ideas that flew out of my reading. 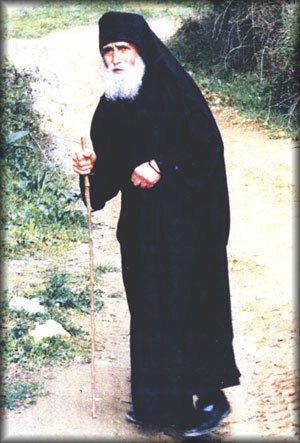 The first post was a biographical post about Elder Paisios, an ascetic Athonite monk in the Russian Orthodox church who crucified his health in his relentless quest for spirituality and whose words are a comfort to many loyal followers. The post described a daunting pattern, one which I revolt against, but one which represented, I thought, the victory of the superego, the conscience, over less saintly primal urges. A YouTube clip of one of Elder Paisios’s homilies shows him warning us to mistrust our thoughts. For just as some of them may originate in God, others may be the work of the devil or the barren fruits of our own endeavours and discernment is needed to distinguish the first from the others. The tri-partite summary of the origin of thought seemed to me to fit neatly into the three divisions of our personalities which Freud labelled our id, our ego and our superego. “According to Freud, there are three components to a human’s personality. The three components are the id, the ego, and the superego. To him, a person’s behavior is determined by the interactions among these components. The id is the primitive, instinctive component of personality that operated according to the pleasure principle” (Weiten 2005). The id is the reservoir of psychic energy- it houses the fundamental biological needs. These include eating, sleeping, defecating, copulating, etc. All of these aspects energize humans. The id demands immediate gratification, and it operates according to the pleasure principle “which demands immediate gratification of its urges” (Weiten 2005). It operates within the parameters of primary process thinking which is primitive, illogical, irrational, and fantasy-oriented (Weiten 2005). The ego operates according to the reality principle and is the decision-making component of personality. The ego is a mediator between the id and the external social world. The ego delays the gratification of the id until it is socially appropriate to satisfy the id. The ego is interested in social and personal success and happiness, but it has the means to delay gratification for those purposes (Weiten 2005). The second post was a response to the reports of the rioting in Athens, and was the first of several posts I then read on other blogs I visit regularly, all of which responded the unravelling events. Two adjacent posts. The Good and the Evil. The two aspects of humanity that war within each of us. I wonder if that is not why the reports are so upsetting; that each of us struggles – to a greater or lesser degree – to keep the wanton urges at bay, that we are appalled by the riot within ourselves when it rises from its subconscious slime, the ugly id being given free rein to run amok. The violence has been like a volcanic boil, lancing the unspeakable forces that can no longer be kept invisible, that the ego has vainly tried to control. Shame, turning away our eyes. It happens. Hellenic Antidote appeals to reason, to a heavy handed logical thinking solution that educates the id into submission. A heavy handed parent. My Greek Odyssey prays to God for help restoring peace as if nothing else but the supernatural will work and in doing so absolves us of the ability to solve the problem ourselves in our humanity. Others criticise the parents for having let these boys on the cusp of manhood out of their sight and one imagines the critical parent tut-tutting at other more liberal parents at the school gate, at those who are disorganised and turn up late with unkempt hair. Kat at An American in Athens gets in touch with the dark side in an attempt to understand the forces involved, interviewing both one of the feared MAT police officers and a revolting youth. Her interview with the police officer uncovers his humanity, the daily difficulties he faces, and through the frank engagement, we begin to see his point of view, to be kinder to him, to be less judgmental. Others rewind through recent history in a search for an explanation, a prior event to learn from, or appeal to a sense of justice or fairness, a very engaged ego to mitigate between the opposing sides. Each in his or her own way seeks to control the unruly forces, and I wonder if they don’t reveal their own personal way of being when it comes to internal problem solving, when temptation to sin, to give in to our animal natures, rears its ugly head. I wonder whether our responses to the crisis reveal quite a bit about our parenting styles, or about the way we were parented. Boils come and go. They are embarrassing and shameful and they may leave scars behind. We worry what people will think of us when they see the boil – we fear their disgust and their teasing. We turn our face away. We hate having our less than perfect side on display. But we survive. Afterwards we can see it wasn’t the end of the world. Just a boil: we all get them from time to time. And we love the people who loved us when we were lepers. We probably try to improve our diet, cleanse our skin more carefully, remove some of the stress from our lives, and, if all goes well, our skin stays clear.